Scrubbing the oven is not at the top of anyone's favorite household chore list. 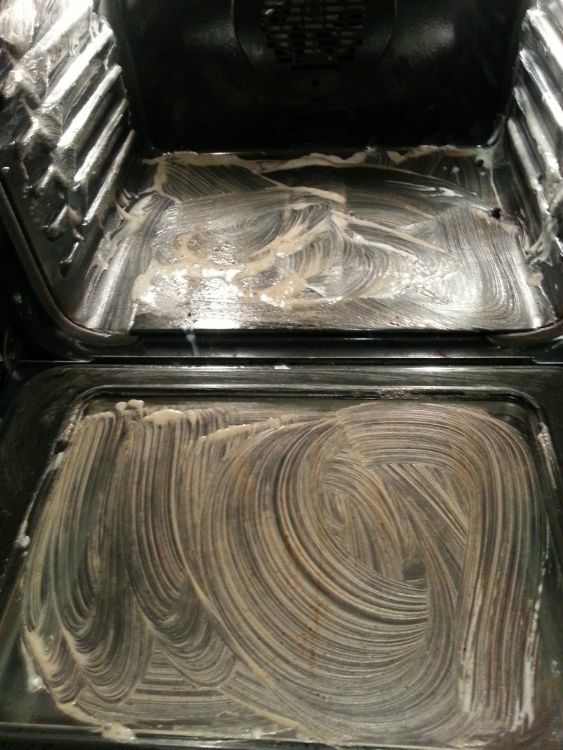 You regret ever baking anything in there with every minute of cleaning that passes. So you put it off, just to make the task even harder when you finally get around to it. Don't sweat it (or scrub it) any more! These amazing oven cleaning hacks will get your oven sparkling with things you already have around your home. 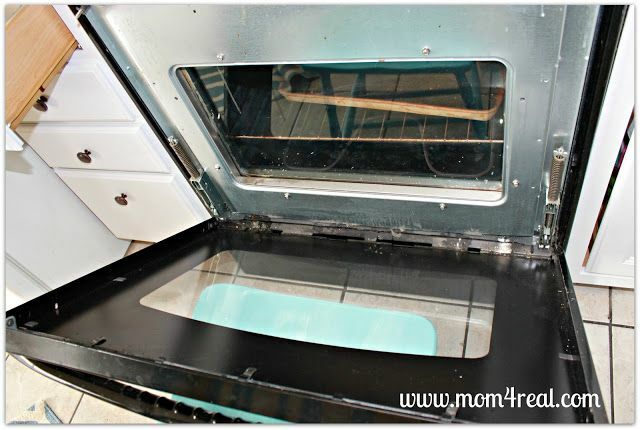 Jillee uses the power of steam and ammonia to soften any grime, stains, and burnt on food in her oven. By preheating her oven and then adding a pot of boiling water and a dish of ammonia, she eliminates having to scrub. After 20 minutes all she does is wipe the oven down with dish soap, water, and ammonia for an easy cleanup. Why not try combining all your favorite DIY cleaning products and find out what happens? Kate Elizabeth did exactly this and was thrilled with the results. Vinegar, baking soda, Dawn dish soap, and lemon juice provided all the power she needed to achieve a clean oven without scrubbing all afternoon. She lets her mixture sit for a few hours and then wipes it clean. 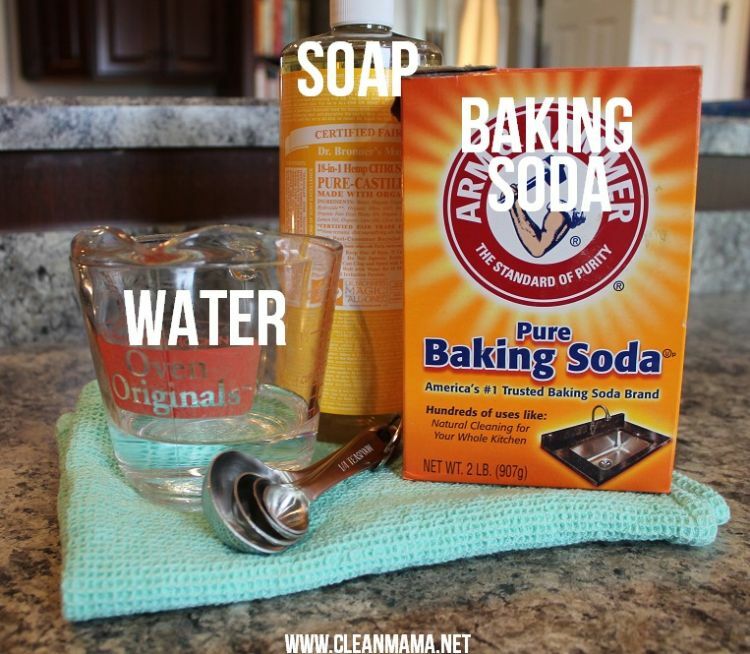 These three ingredients may be all you need to clean your oven: water, castile soap, and baking soda. The castile soap breaks down grease and grime for easy removal. The baking soda provides a grit for easy scrubbing. Wipe it on and after 15 minutes you can wipe it off to reveal a clean oven. 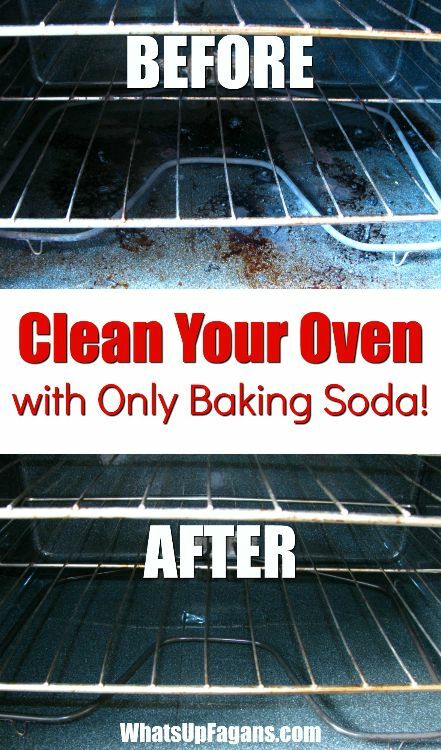 You can effectively clean your oven with just a mixture of baking soda and water. Apply the paste and let it rest for as long as you want - just keep misting it with water to keep it damp. After you wipe it off, you can use a flat razor scraper or flat screwdriver to scrape up any spots that remain. 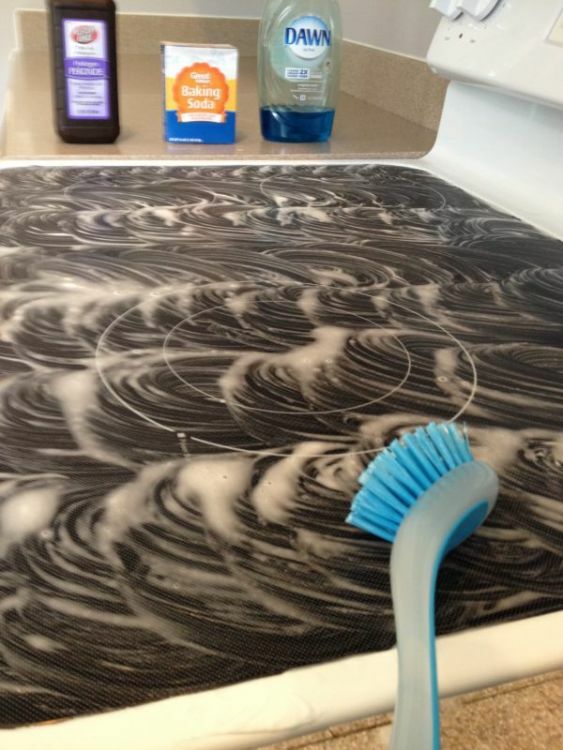 Combine the power of baking soda with the power of steam to create an awesome oven cleaner. 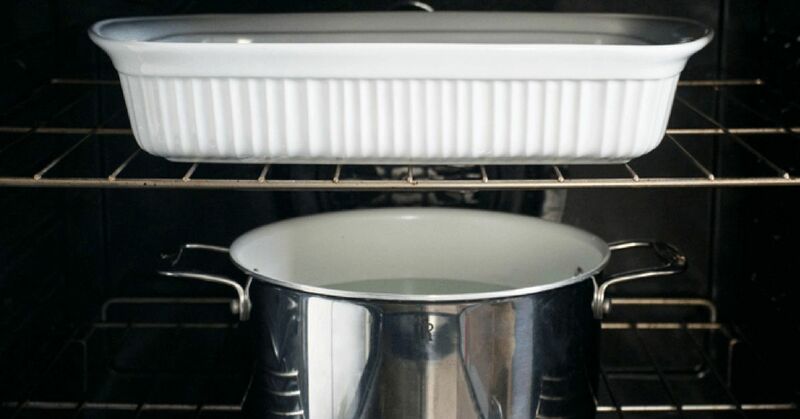 You won't have to scrub after letting a pot of boiling water sit in a baking soda and water paste covered oven. The steam helps the baking soda loosen the toughest grime. After about 30 minutes, you simply wipe everything off. 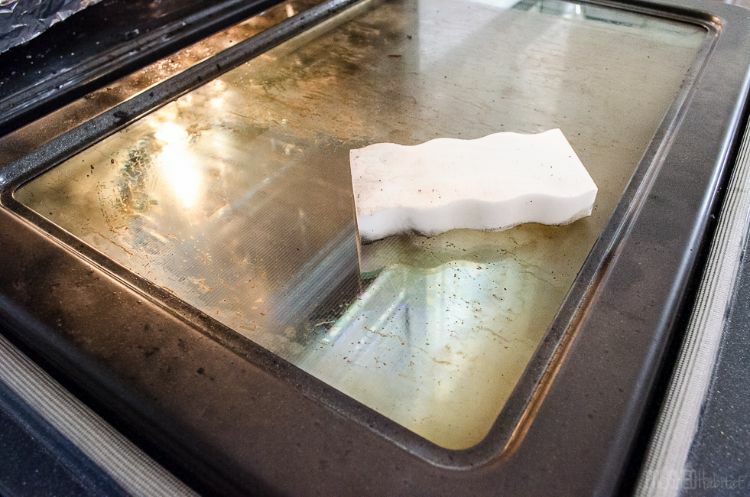 The easiest way to remove the baked-on grime from your glass oven door is by grabbing your handy Magic Eraser. It gently removes tough residue without hardly any effort. All you need to do is dampen the sponge and rub it gently on the glass. You have a clean oven, but the glass is still dirty. It could be trapped in between the two panes of oven glass and seem simply impossible. You can easily clean between your glass by simply unscrewing two screws and lifting up the inner door section. Ammonia can be a harsh chemical. It is effective, but the vapors are awful. 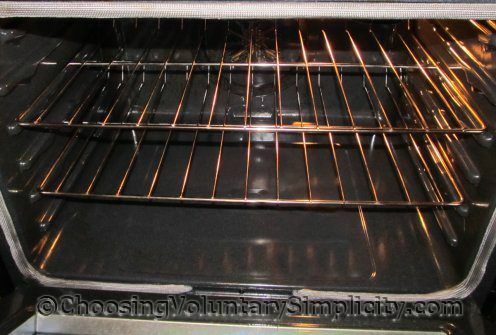 You can clean your oven grates easily without soaking them in ammonia. The secret is found in laundry detergent. Place the racks in the bathtub and cover with hot water. Add laundry detergent and stir up a bit. After an overnight soak, your racks will be as good as new. Now that your oven is sparkling, shine up the stove top with a mixture of baking soda, Dawn dish soap, and hydrogen peroxide. A little light scrubbing and then a wipe down will leave it as clean as your oven. A microfiber cloth helps polish any streaks away for a perfect finish. Think of all the things you can do with your extra time when you use these tips to quickly and easily clean your oven. 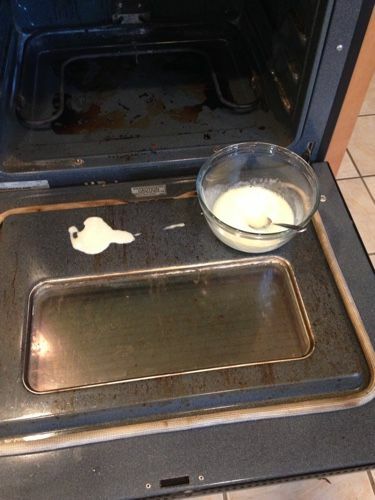 Once your oven is clean, a regular wipe down will help prevent future burnt on messes. 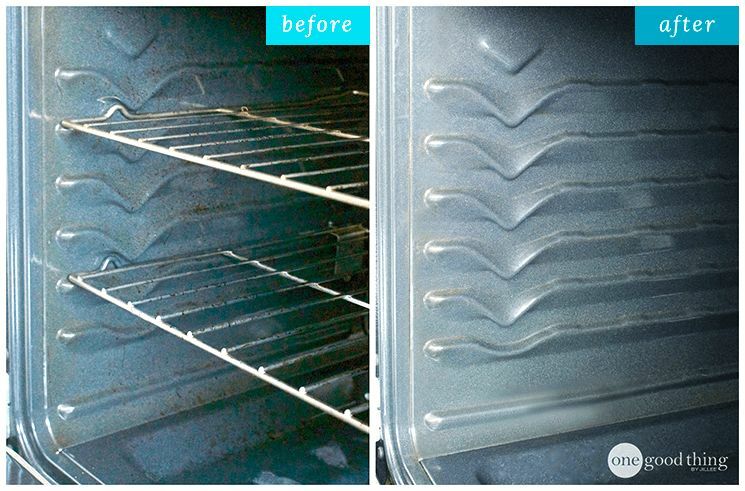 Share these amazing oven cleaning hacks with your friends and family on Facebook!